Nicole Kidman and Keith Urban show PDA and more -- see all the stars at Stagecoach! 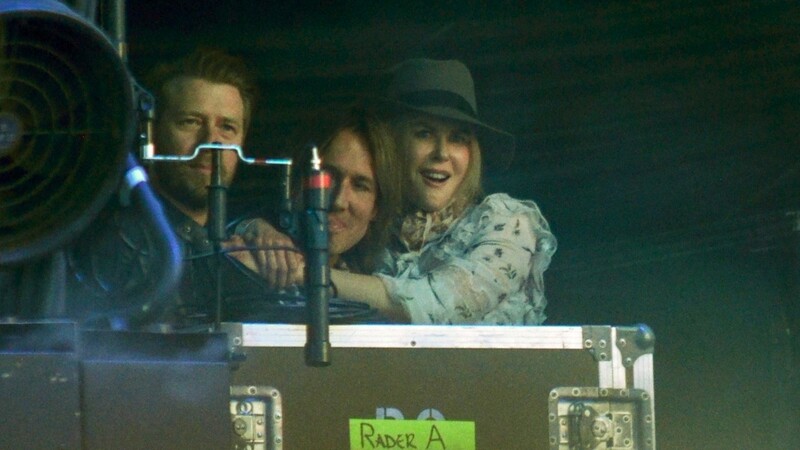 Nicole Kidman made sure to show a little affection to husband Keith Urban before he took the stage Saturday night at the Stagecoach music festival! The annual three-day event at the Empire Polo Club in Indio, California, celebrates some of the best in country music, with acts like Garth Brooks, Kacey Musgraves and Florida Georgia Line performing this year. As with every year, some celebrities turned up to experience the croonin' music, food, drinks and Ferris wheel. In addition to from Kidman there supporting Urban, who headlined on Saturday, Ashton Kutcher, Nick and Joe Jonas and Kendra Wilkinson all checked in from the festival. Kutcher and Joe Jonas both sported some serious cowboy hats in Instagram pics they posted over the weekend. The latter added, for good measure, a healthy "#YEEHAW" as a caption. Kelsea Ballerini and Ireland Baldwin also attended, taking time to pose for a quick pic as they attended the H2O+ Beauty Oasis at Stagecoach. Miley Cyrus' sister, Brandi, put out a challenge to fellow festivalgoers in her Instagram pic with friends. "Ferris Wheel pics w your squad or #Stagecoach didn’t happen 🎡," she wrote. Challenge accepted, by Wilkinson, who looked like she was having a blast with friends next to the big wheel. It's good to see the 32-year-old TV personality, who dramatically went brunette just a few days ago, having a bit of fun amid her ongoing divorce proceedings with Hank Baskett. "Having soooooo much fun with my girls," she wrote on Instagram. "Yeeehaw @iamjessicahall @jasmine.dustin #stagecoach"
Here are a few more celebrity social media check-ins from the festival. Star Sightings: Yara Shahidi Gets in Festival Mode, Kelly Clarkson Fangirls Over Justin Timberlake & More!